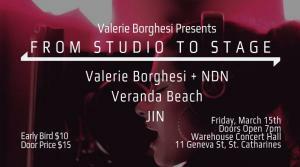 Valerie Borghesi has been working long hours in the studio to release her first ever EP. 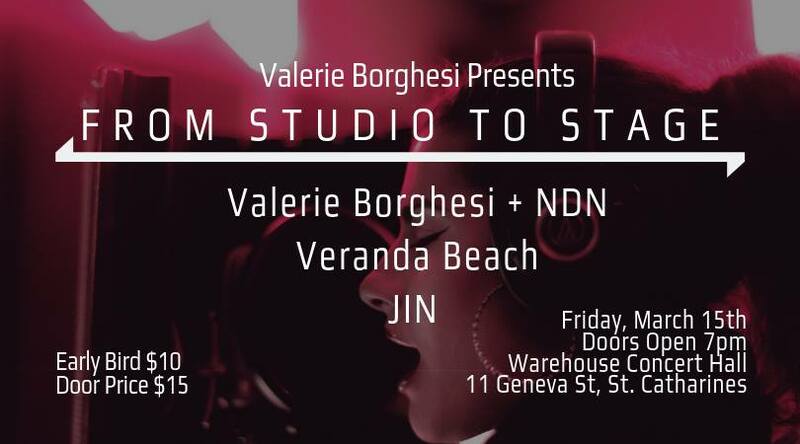 Valerie is so eager to share her EP that she's previewing the entire EP for you March 15th at Warehouse Concert Hall accompanied by her backing band Next Door Noise..
Also taking the stage will be Veranda Beach and JIN.. Both bands have also been crafting new music in the studio. They will also get the opportunity to preview to their fans this night. You won't want to miss this exclusive live preview experience with this lively line up of bands.